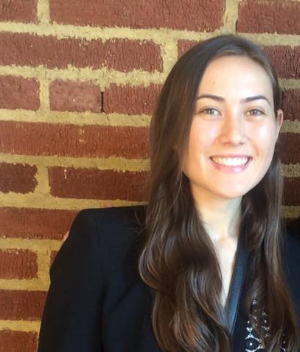 Get to know our former intern and newest board member, Cassandra Ruby. I work in an escape room called Xcape Room Fresno, which is kind of like an hour-long entertainment experience. You’re locked in a room and you solve puzzles to accomplish the goal of escaping. You have to find something that gets you out of the door. They were really popular a couple of years ago and have kept getting more popular. How did you end up working in an escape room and what do you do there? I knew the owners, who were all college kids. It’s not very hard to start one so they saw one in San Diego and liked it so they brought one to Fresno. I run the different rooms and give people clues. I was involved with creating a new Indiana Jones themed room recently. So I was involved with all of the electronics and story elements for that room. I’m actually from Orange County. My parents are from Fresno, but they both got jobs in Orange County and had kids down there. I came to Fresno to go to college so I started at Fresno City and then went to Fresno State. I first heard about Filmworks from a class. I took an Introduction to Film class and my teacher was Jefferson. He was president of Fresno Filmworks at the time and said that if any student wants to come watch a movie and write a paper about it you’ll get a little bit of extra credit. The movie that month was “The Double,” which I already wanted to see so I went. It was my first time ever being at Tower Theatre or even the Tower District. Even though it’s really small I totally got lost on the one-way streets! But it was a lot of fun and ever since then I started going back and trying to go to as many shows as I could, and then I became the development intern for Filmworks. Tell us how you ended up interning for Filmworks. Jefferson gave me a call. We had kept in touch from when he was my teacher because I was his grading assistant for a while when he taught at Fresno City, and then he started working at Fresno State so we stayed in touch that way too. He talked to me about possibly doing some kind of internship. It had started as a marketing internship, but he was changing it because his role at Filmworks had changed. We talked about that and if it was something I might be interested in. At first I was intimidated because I looked at all the intern write ups on the website and they were really intense and these super cool journalism and marketing people so I was a little intimidated. But it was still a lot of fun and expanding my skills and trying something new was a really good experience, and I realized how much I like Filmworks. If the first Filmworks film you saw was “The Double,” what’s you favorite film you’ve seen at Filmworks? I really liked “Kumiko, The Treasure Hunter.” It had that fantasy element which was really cool. The acting was suburb and Filmworks had a guest director who was involved with the film to answer questions at a Q&A after so that was really cool. I like, well the umbrella term would be foreign and independent, that kind of thing, but I specifically like Latin American films, Middle Eastern films in particular. I’m starting to branch out and watch more Asian and South East Asian films. Trying to develop my understanding of historical context, cultural differences, that kind of thing. Definitely Latin American films because my family is from Mexico, but also from also from all over Latin America individually, so it makes me feel more connected to that part of my culture that I wasn’t really raised in. My parents wanted us to assimilate so we’d be sort of high functioning members of society and pass and all that stuff. But it’s been fun to learn about different cultural aspects. I like watching Spanish films with my mom because a lot of her family is Spanish and she’ll get different allusions or parts of the story that maybe I miss. It’s an interesting way to connect in a more personal way. And then I like watching films that are totally different. It’s interesting when I have no idea about a culture so then I can go back and look things up that I missed or learn something new. What’s your favorite thing to do as a volunteer? Well one of the things I’ve been doing as a volunteer is staffing the membership table and that’s become one of my favorite things because you really get to talk to people. And people are always very receptive when it comes to speaking out about a connection to the film. What would you like to tell everyone about Filmworks? I would stress to just try it. You don’t have to make a huge commitment to spend two hours watching a movie. If you stay in contact with what they show, you might find that you can gain so much from seeking out something new. It’s such a privilege to have these films and have them offered and it’s something you can take advantage of.